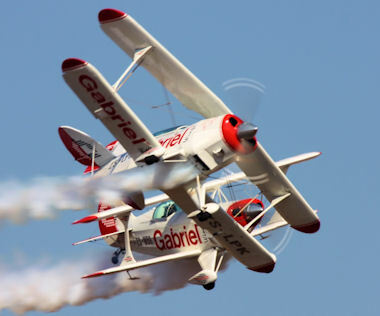 Although one would expect a relatively small air show if it is not hosted in a big city, the organizers of the Newcastle have nothing to be ashamed of. 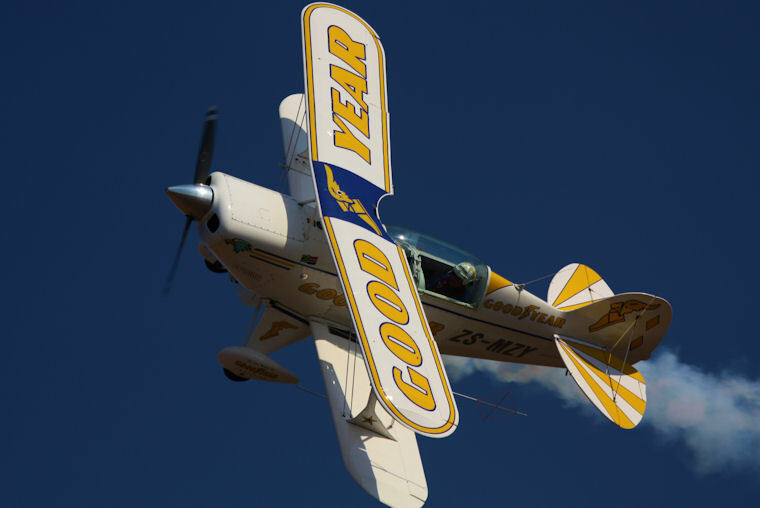 The program was as good as most of the other big air shows, especially with such a big South African Air Force participation and was certainly enjoyed by all who attended. 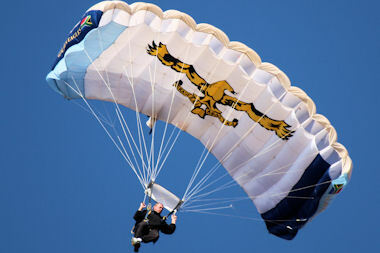 As with most air shows, the event was opened with skydiving from a SAAF TP-47 and we saw more skydiving again later in the day. 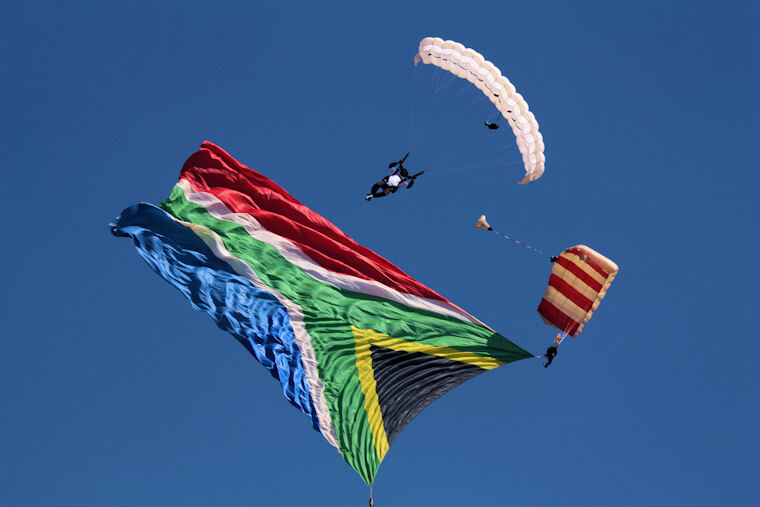 The crowd enjoyed the spectacle when one skydiver had the continents biggest South African flag hanging bellow him and I am sure that even people in town could see this magnificent display. 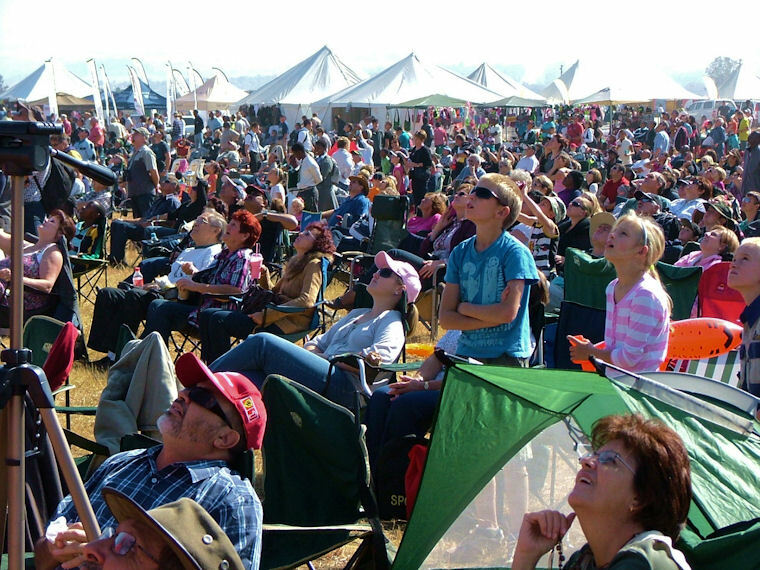 In every air show report I write I mention Nigel Hopkins and I was hoping to exclude him from my report this week to show other performers for a change. 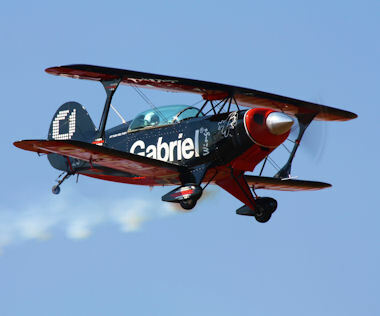 Unfortunately Nigel's display can not be excluded from any air show report. 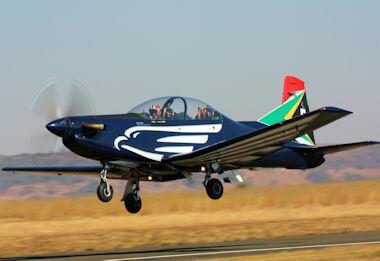 His act is breath-taking every time and he is truly the pride of the South African air show circuit. 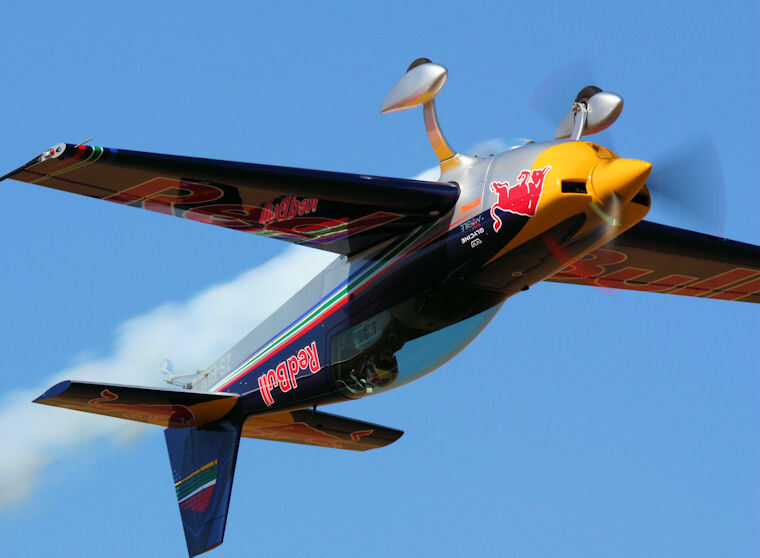 Even his father “Derek” was once again impressed with Nigel's flying and after seeing it so many times, Derek enjoyed it as much as the rest of us. Both the Gabriel and Good Year Pitts Special teams performed a flawless display. Their multidimensional routines remain exciting and hopefully some of the other acts learn from them. My personal favourite at every air show is the Mazda Zoom Zoom team. 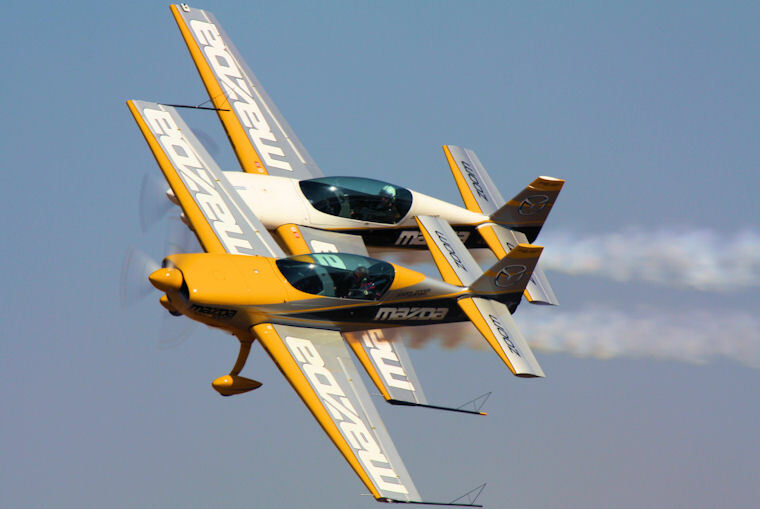 Brad Bennett and Ellis Levin make this highly complicated routine and close formation flying look so simple. This is another world-class act right here in South Africa. 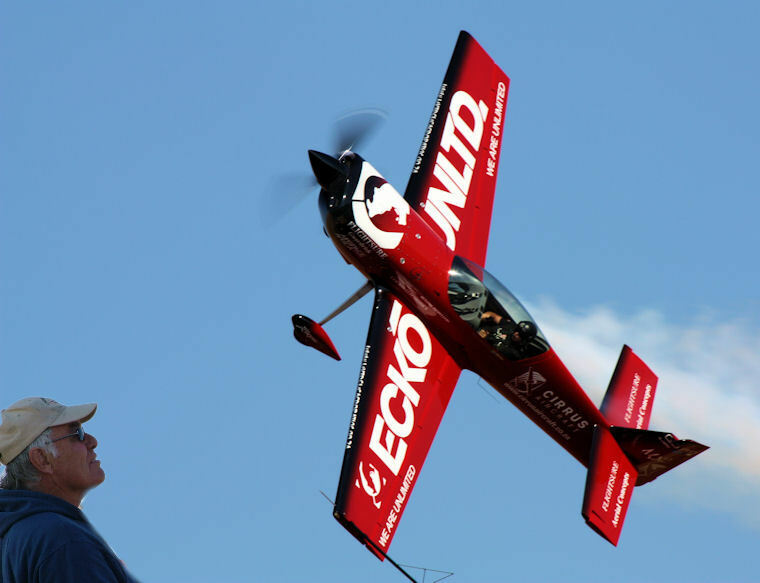 World Aerobatic Champion Glen Dell made an appearance for the first time in a while and with displays like Glen's on Saturday, it is a shame that we don't see him perform more often. 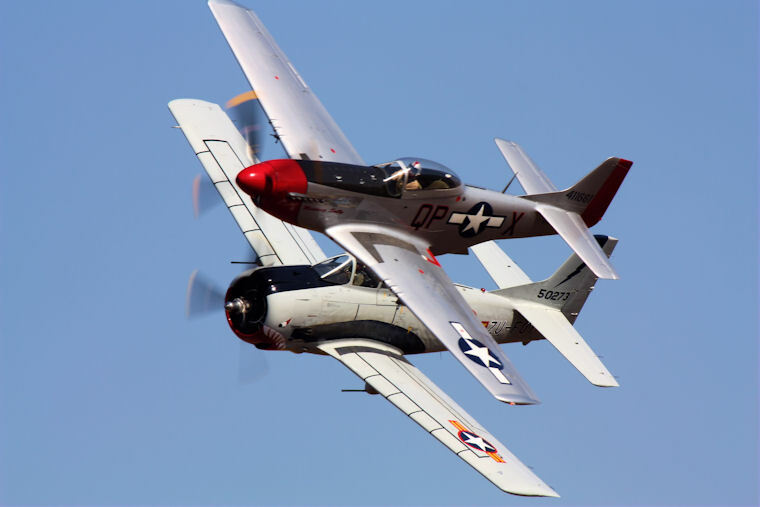 The Mustang and Trojan formation flown by Meno Parsons and Pierre Gouws again provided some good photographic opportunities and thrilling sounds as they swooped past the display line at high speed. 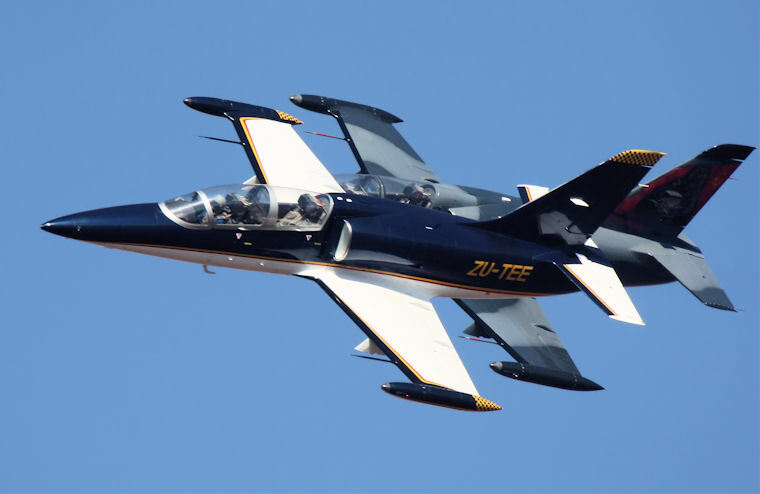 The L-39 jets have become very popular at South African air shows but it was a little disappointing to see only two of them at Newcastle. It was however still a good display with lots of noise and the smell of burning JetA1. 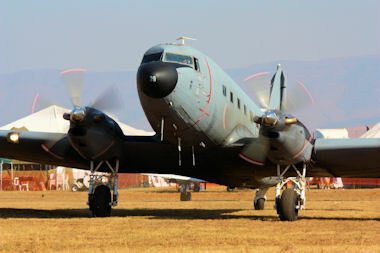 To many the SAAF participation was the highlight of the event. 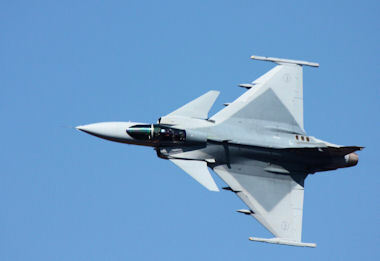 We saw an Oryx, a TP-47, the Sliver Falcons and a Gripen which flew out from Waterkloof twice to entertain the crowd. 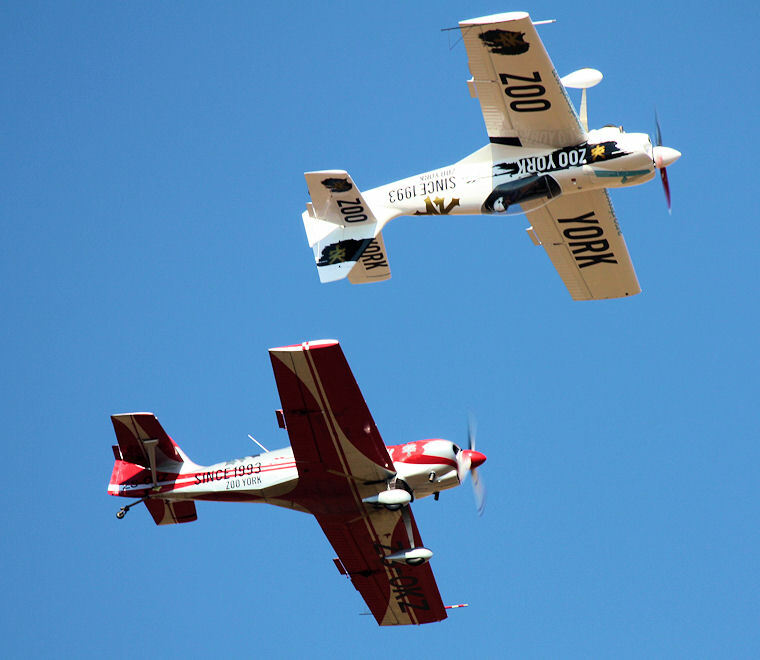 A mass formation by the Silver Falcons and the TP-47 was as spectacular. 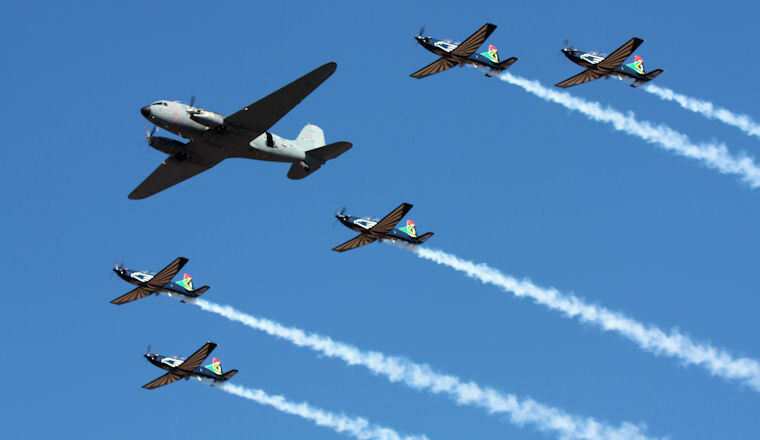 The Zoo York team is not a regular act in the Gauteng region but we expect to see much more of them especially during all the air shows scheduled in KwaZulu Natal this season. Their display was a little high but still very entertaining. The Echo Yak team also delivered a good performance on the day. ATNS was once again a valuable service at the show and accommodated all the visiting aircraft to depart early enough to get home before dark. It was clear that safety received a lot of thought before and during the event as everything was well planned and executed without incident. Thank you Newcastle. We'll see you again next year! !